Laptops, smartphones, tablets and many other types of consumer devices support wireless network connections. Wireless has understandably become the preferred form of computer networking for many people due to its portability and convenience. 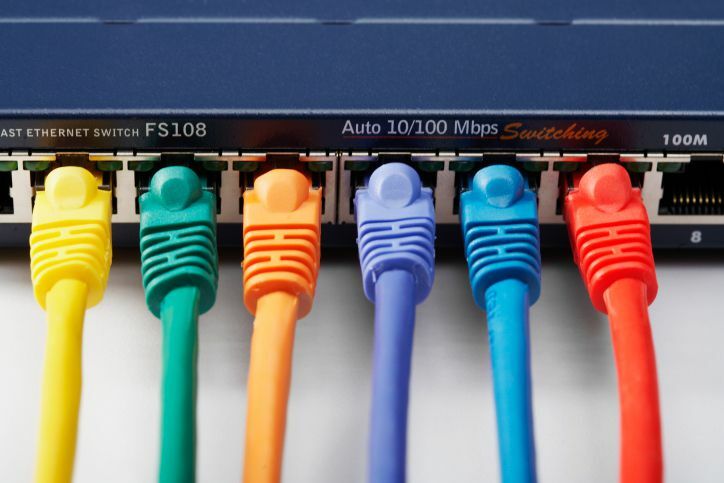 The three basic types of wireless network connections - peer-to-peer, home router and hotspot - each has their own specific setup and management considerations. Connecting two wireless devices directly to each other is a form of peer-to-peer networking. Peer-to-peer connections allow devices to share resources (files, a printer, or an Internet connection). They can be made using various wireless technologies, Bluetooth and Wi-Fi being the most popular choices. The process of setting up peer-to-peer connections via Bluetooth is called ​pairing. Bluetooth pairing often involves linking a cell phone to a hands-free headset, but the same process can also be used to connected two computers or one computer and a printer. To pair two Bluetooth devices, first ensure one of them is set to be discoverable. Then find the discoverable device from the other and initiate a connection, providing a key (code) value if needed. The specific menu and button names involved in configuration vary depending on the type and model of device (consult the product documentation for details). Although peer-to-peer wireless offers a simple and direct way to share information between devices, take appropriate network security precautions to ensure malicious people do not connect to your peer network sessions: Disable Wi-Fi ad-hoc mode on computers and turn off pairing mode on Bluetooth phones when not using those features. Many home networks feature a Wi-Fi wireless broadband router. Home routers simplify the process of managing wireless network connections inside a home. As an alternative to setting up peer networking among client devices, all of the devices instead link centrally to a router that in turn shares the home Internet connection and other resources. from Apple iOS devices, go to the Settings app, and in the Wi-Fi section find and click the appropriate entry under "Choose a Network…"
The first time a device is joined to a wireless router, network security settings (the security type and key or network passphrase) that match those set on the router must be entered when prompted. These settings can be saved onto the device and automatically re-used for future connection requests. Wi-Fi hotspots allow people to access the Internet while away from home (either at work, or traveling, or in public locations). Setting up a hotspot connection works similarly as for connections to home wireless routers. First, determine whether the hotspot is open (free for public use) or requires registration. Wi-Fi hotspot locator services maintain databases containing this information for publicly-accessible hotspots. Complete the registration process if necessary. For public hotspots, this can entail subscribing via email (possibly with a payment required). Employees of businesses may need pre-configured software installed on their devices to register them. Next, determine the hotspot's network name and the required security settings. System administrators of business hotspots provide this information to employees and guests, while hotspot locators or business proprietors provide it for their customers. Finally, join the hotspot as you would a home wireless router (see instructions above). Take all network security precautions, especially on public hotspots that are most prone to attack.